Skulduggery. . HD Wallpaper and background images in the Skulduggery Pleasant club tagged: skulduggery. 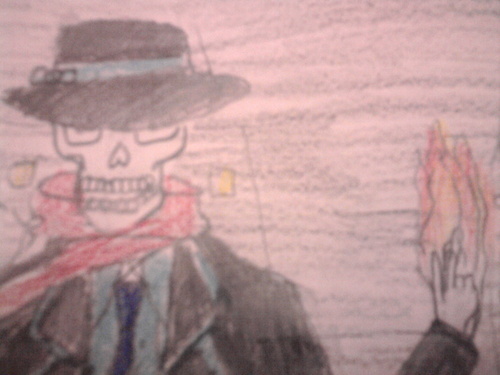 This Skulduggery Pleasant fan art might contain anime, comic kitabu, manga, cartoon, and mkono. Stephanie Edgley? Valkyrie Cain?... Darquesse? How Tanith Can Return In 6 Easy(ish) Steps!